Both the Alcatel 3V and the Alcatel 5V was launched earlier this year with a mid-range hardware and software. Both phones feature a large display screen size with similar cameras and memory. Furthermore, they both fall under the budget device, meaning you can buy them without paying through your nose. We will be looking at the comparison between the Alcatel 3V and the Alcatel 5V in this post. In terms of design, the Alcatel 5V features a moderate design. The handset has a notch upfront with a small and narrow bezel giving way to a bigger screen size. It has rear dual cameras with an LED flash and a fingerprint sensor for security. It measures 153.7 x 74.5 x 8.5 mm in dimensions and weight 158 gram. The Alcatel 3V, on the other hand, features a similar design as well. It has a similar body that measures 162 x 76 x 8.1 mm in dimensions and weight 154 gram. The Alcatel 5V has a screen size of 6.2 inches with a screen resolution of 720 x 1500 pixel and 268 PPI density. You will also get similar screen size on the Alcatel 3V. The 6.0 inches comes with a higher screen resolution of 1080 x 2160 pixels and 402 PPI density. Both phones are equipped with the same IPS LCD capacitive touchscreen, however, the Alcatel 3V will deliver shaper screen than it’s rival, while the Alcatel 5V has s higher screen to body ratio. On the camera aspect, both phones features the same rear dual cameras of 12 MP (f/2.2, 1/2.8″, 1.25 μm, PDAF) + 2 MP (f/2.4, 1/5″, no AF, depth sensor), with an LED flash. 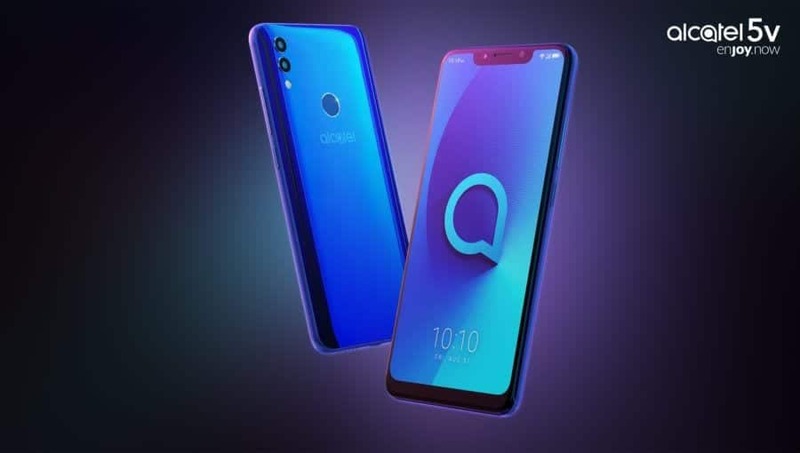 The Alcatel 5V main cameras features Dual-LED dual-tone flash, HDR, and panorama and it has a front facing camera of 8 MP with an LED flash as well for selfies. The Alcatel 3V on the other hand has a front facing camera of 5MP front selfies with an LED flash as well. So on the overall camera set-up, the Alcatel 5V has better cameras than it’s rival. 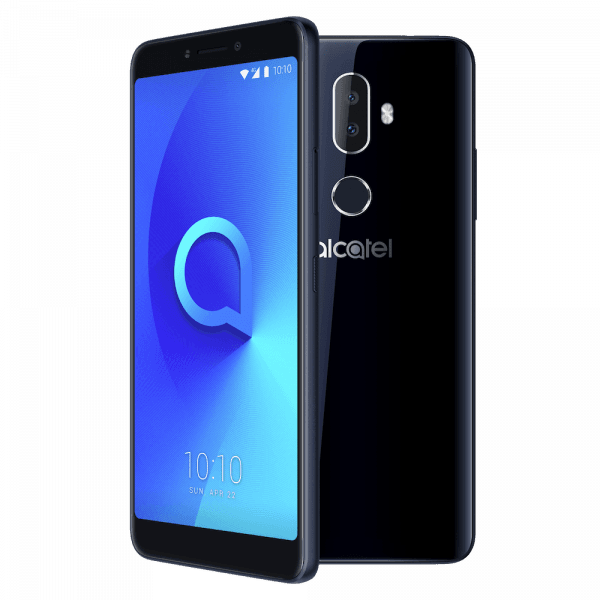 The Alcatel 3V has a Mediatek MT8735A chipset with a Quad-core 1.45 GHz processor and Mali-T720MP2 GPU for graphics, while the Alcatel 5V has a Mediatek MT6762 Helio P22 chipset with an octa-core processor that clocked at a speed of 2.0 GH coupled with PowerVR GE8320 for graphics. Both phones runs on Android 8.0 Oreo operating system with dual SIMs and they also has a rear mounted fingerprint scanner as well. 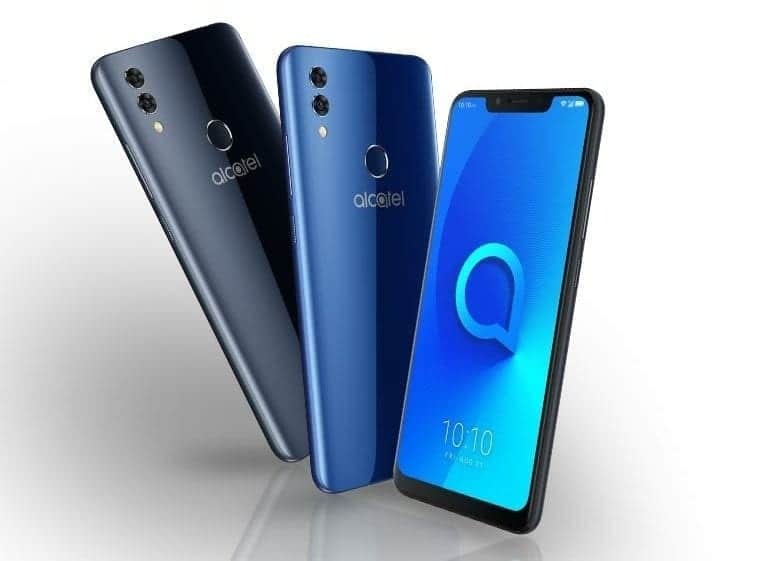 The Alcatel 3V is available in 2GB RAM with 16GB and 32GB inbuilt memory, while the Alcatel 5V is shipped in 3GB RAM with 32GB of inbuilt storage. You can still expand their memory with a micro SD card if you want. The Alcatel 3V has a nonremovable battery capacity of 3000 mAh while the Alcatel 5V has a bigger battery capacity of 4000 mAh. On the price, the Alcatel 3V will sell at a price starting from $180, while the Alcatel 5V will cost around $230. The Alcatel 5V will outperform the Alcatel 3V. The phone also has a bigger battery capacity as well. It’s only on the display that the Alcatel 3V has the point because of the higher pixel per inch density which will ensure clear visuals. Apart from that, the Alcatel 3V is also more affordable then the later. Both phones are under the budget category, so you should go for the one you have the money.